For years now, bicycle and light enthusiasts have been visiting LED Montreal while preparing for Un Tour la Nuit. 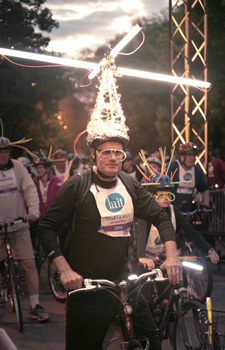 Planning on joining the 17000 cyclists taking part in this annual nightly ride around Montreal? Then read the following! 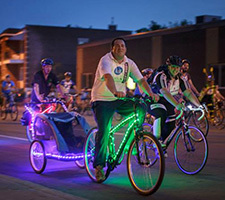 Un Tour la Nuit is a fun summer event that normally takes place at the beginning of June and takes the participants on a 20 plus km nocturnal bike ride around the various areas of Montreal, ending with a celebration. If you’re planning on joining the crew and do the Tour la Nuit, you’ll need to get prepared. Both for fun and for security reasons, you have to be visible at night while riding your bicycle. Since the LED technology is one of the most energy saving lighting solution there is, it is the perfect one to use to make battery powered objects that last longer. Therefore, at LED Montreal, you get to choose between a wide variety of LED Lights for Bicycle, including LED tail lights, wheel lights and flashlights. Those are often motion activated and will allow for 10 to 15 hours of continuous lighting before having to change the batteries. Part of the fun for Un Tour la Nuit is decorating your bike and yourself in a flashy way! The many different LED wheel lights offered at LED Montreal allow for colorful patterns inside your wheels. 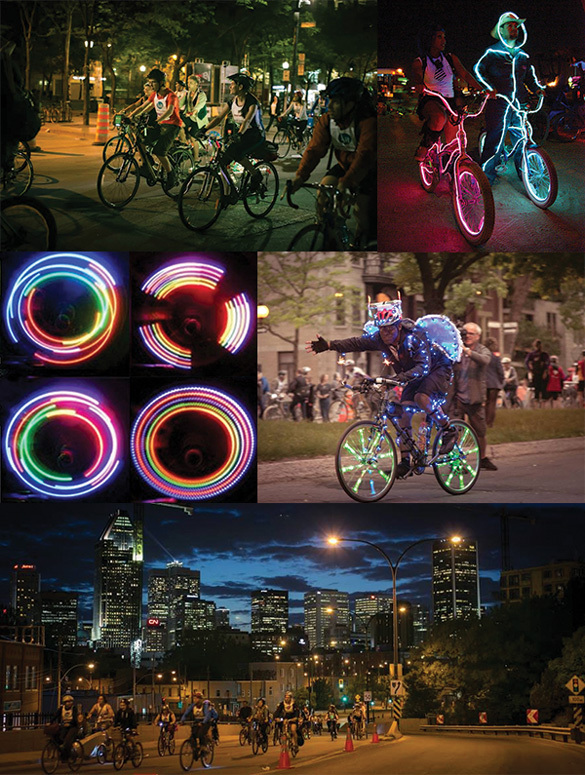 If you’re looking for something that looks cool and will allow you to be visible during the Tour de Nuit but also Le Tour de l’Île de Montréal or Burning Man, the LED Lights for Bicycle are exactly what you need! Another great option, which is not exclusive to bicycle decoration but fits super well, is the EL Wire (electro luminescent wire). The very affordable EL Wire from LED Montreal is a thin flexible luminous cord that comes in various lengths and colors. You can adapt it very easily to most shapes and that makes it a great addition to the look of your bike! LED Lights are also one of the best, most affordable security features you can find for riding your bicycle at night. The Bike Tail LED and Laser Light makes you visible from behind and even projects red lines onto the road behind you to show exactly how much space you need. To properly see what’s in front of you, use the LED CREE Flashlight which is super bright and comes with a holder to mount it to your handlebar. LED Montreal also offers a variety of bicycle wheel lights that attach either to your spokes or valve caps and create beautiful color patterns. To take a look at our great selection of products, visit the LED Lights for Bicycle section of our website. With great preparation, you’ll have a huge amount of fun and you’ll get back home safe and sound!